The GPS in your phone may deviate between 1-4 meters. 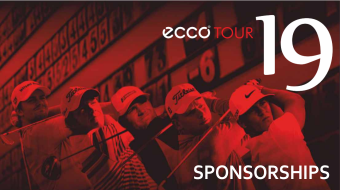 You may also use your laser/range finder to double-check you distances. All hole-measurements are from the back tee. Once you get to the course it will be your phone’s GPS that determines the measurements from you to the “T”. However, the official hole length will always be from the back tee. The grid that covers both green and rest of the hole is divided into 5 x 5 meters squares. All measurements towards the green are measured to the “T”. The “T” is in the front of the green in the intended playing line. Pin positions are measured in paces. You use your fingers to zoom just as you always do on a smart phone, when zooming. When you zoom in you will se a grid. This grid is divided into 5 x 5 meters squares. Zoom in on the greens to get a better view of grid and slopes. You will no longer be receiving todays pin sheets on the first tee. From now on today’s pin positions will be available in the Course guide at GLFR. Each pin position is both explained and marked on each green. 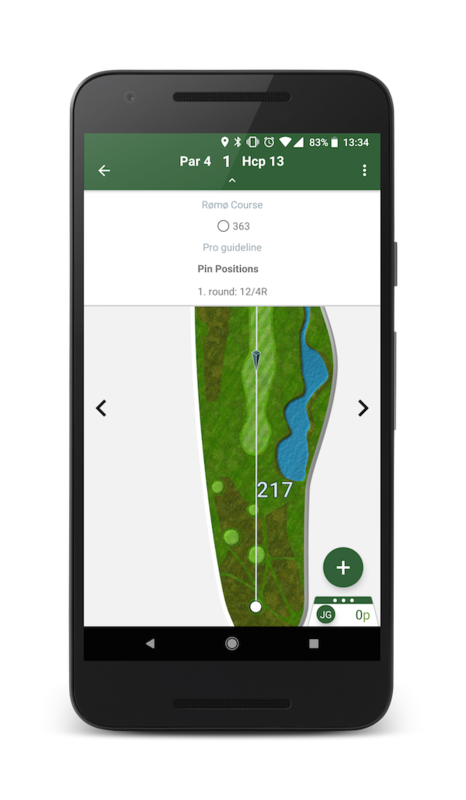 You find today’s pin positions by clicking at the top of each hole on the arrow that points downwards (it will drop down). Click on picture to enlarge. Today’s pin is also marked on the green to show where it is placed according to slopes etc. There will not be measurements to the pin (you will have to do the math yourself), but you will be able to get a visual explanation of where it is placed. We will upload new pin positions for the next round every evening. By updating your app you will therefore be able to see the pin positions the night before. One of the advantages with the GLFR app is that we can provide you with all information at the same place and that the information is always updated. Every evening we will upload new pin positions for the next round, and occasionally there will also be other changes to local rules etc. We will inform you by SMS and E-mail when there is an update to course guide, and it is important that you respond to that message by updating your app. It is CRUCIAL that you always have an updated version. It only takes a few seconds to update, so just make a habit out of doing it before each round. Please see a short “Update Tutorial” here. A Video Tutorial is under construction. It will be ready before Rømø.